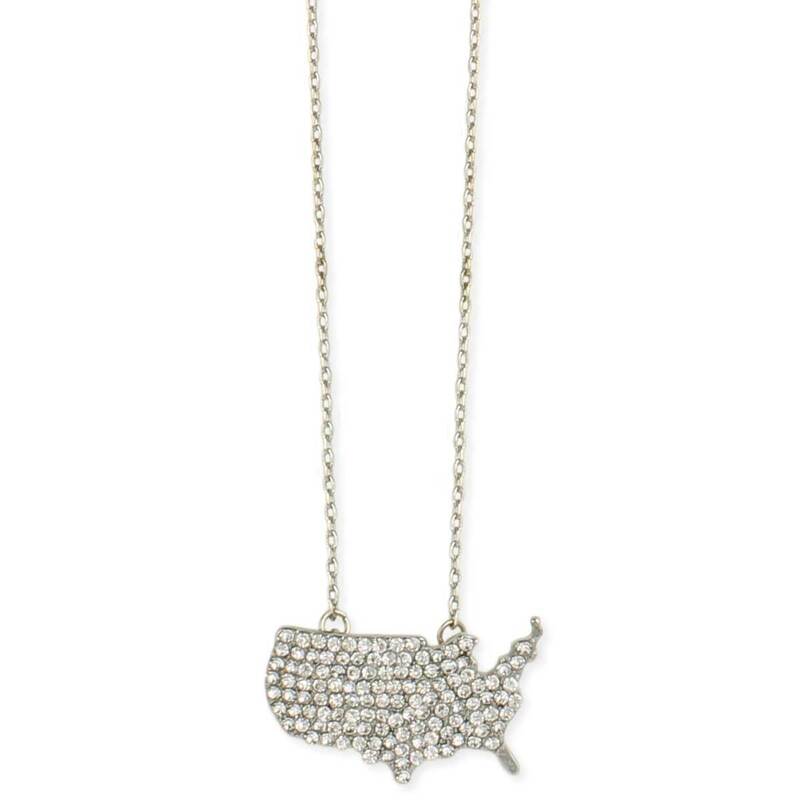 We are an expressive nation and nothing highlights this more than this sparkly USA pendant necklace! 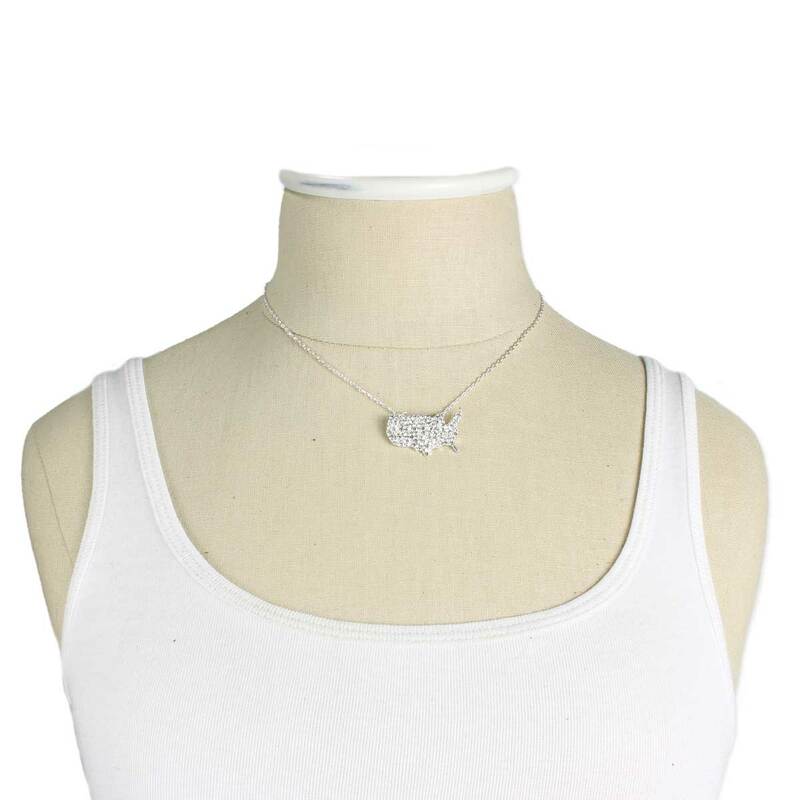 Silver link chain features a pave crystal covered United States pendant. Measurements (approx.) 1" x 3/4"